Use the form on the right to contact us. We would love to hear from you. Thank you for your enquiry! I will be in contact with you soon. 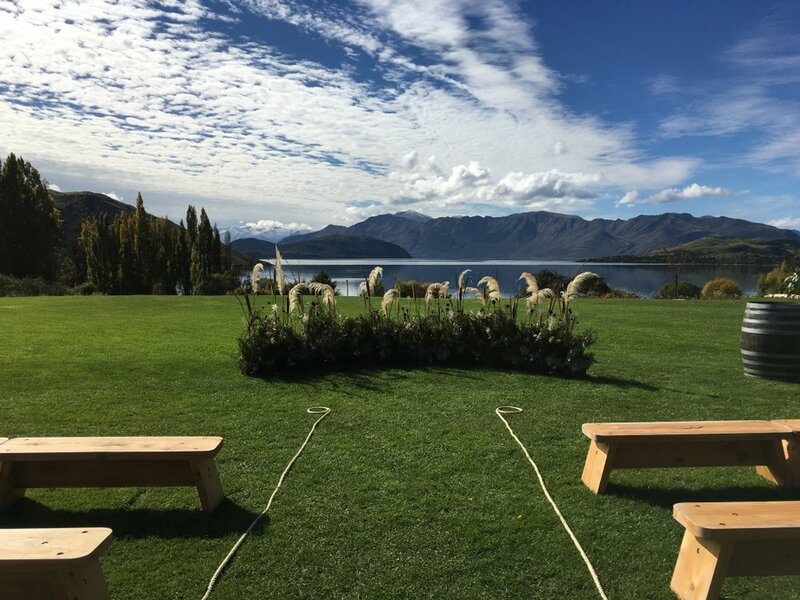 Tailored, personal and memorable marriage ceremonies in Central Otago and Wellington. My commitment is to work with you to ensure that you have the wedding ceremony that reflects who you are and what is important to you on your special day. I love to work with couples to create a personal experience. I love spending whatever time is needed to get the details right for you: whether it be helping you write the perfect ceremony, putting an antique cloth and a posy of flowers on the table to sign the register or giving you advice on locations and other people to assist you. Summer or winter wedding .... which is best? When you are thinking of a destination wedding, the question is always "what time of year is best"? The answer is, quite simply, "it depends"! Depends on what? 1. Do you have a particular vision in mind? Is it a backdrop of gorgeous green trees, snowcapped mountains, a helicopter ride into the snow, a long balmy evening for your reception, a picnic under the fruit trees, loads of spring flowers in the photos? 2. Do you want your guests to be able to combine the trip to this amazing destination with certain activities? e.g. Skiing or boating on the lake? Hiking the great NZ walks? 3. Do you want an outdoor wedding? It can always rain in the summer but you can pretty much guarantee that it will be chilly in the winter! So, if you want a really fine, strapless dress with no jacket for the ceremony and drinks and canapés outside on the lawn, do you really want that in the winter? 4. What is available and when? Certain dates in the summer, in particular, get booked really quickly. So, think about alternatives to a Saturday if you are really keen on a time of year that is really popular. If lots of your guests are coming to a holiday at the same time, then maybe a weekday wouldn't be a problem. Often weekdays can be a cheaper option. 5. Here is an interesting one: flowers! If you have your heart absolutely set on a huge bouquet of peony roses or a little posy of Lily of the Valley, be aware that they have a very limited time in bloom and thus, availability! 6. Getting a date that will work for guests. Yes, seriously, our winter wedding was on the only Saturday without an All Blacks test! Right up in the snow - Kristie and Jerry by Sunshine Weddings. 7. Thinking of overseas guests, think about a time that isn't peak airfare for them. That may influence the number of guests that are able to come. 8. What other things are on at the time you are considering? Will accommodation for other guests be a problem? Does it, for example, clash with the Winter Festival? Autumn snow in Wanaka at Glendu Station. Using autumn foliage. So, hope this helps you think about a few the "what time of year" question. Contact me to have a chat about your ceremony! Wedding vows ..... informal or formal; long or short; write your own; repeat after me?